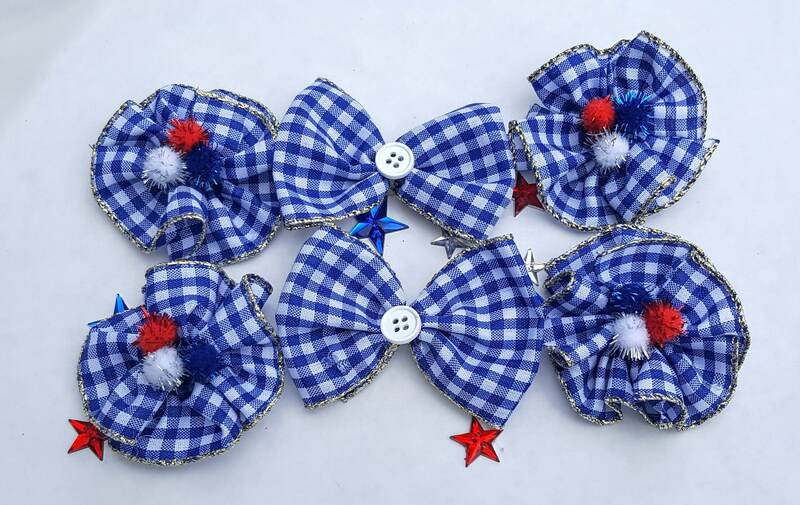 Large Dog or Collar Bows made from 3 inches metallic edged blue gingham cloth ribbon decorated with a white button or red, white & blue metallic pom pom. 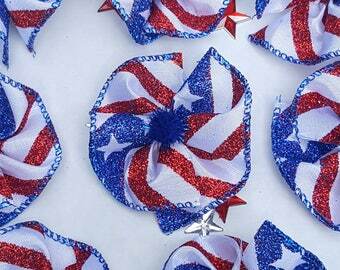 2 Bow Ties approximately 4-6" wide and 4 round bows 3 inches in diameter. 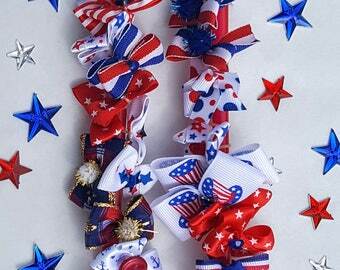 Attach to hair or collar with 3/8" heavy latex band. 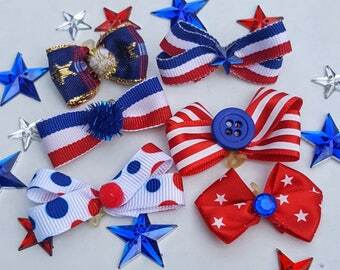 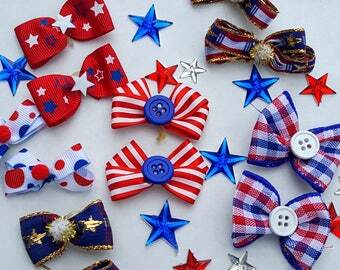 All bows are handmade by me in the USA. Ready to ship immediately. 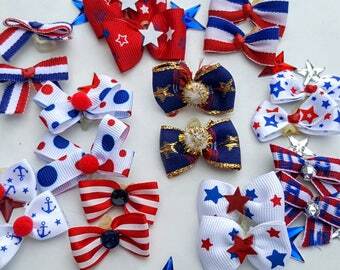 There is only one of this collection left.